Hiring a Riverside County licensed investigator to handle your judgment recovery case might be the only hope you have at ever finding justice or receiving the money that’s owed to you. 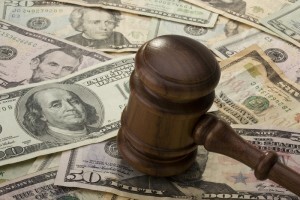 Too often, a court orders someone to pay a debt for damages and the creditor never sees a penny. This is because debtors hide assets, refuse to make payments, or seemingly disappear from existence. A good Riverside County licensed investigator can help to discover the debtor’s whereabouts and find out how to get the money you’re owed. Sometimes, creditors are held responsible for pursuing their own recovery without the help of the courts. This is when a Riverside County licensed investigator is especially needed. Qualified private investigators are able to locate and identify people, places, and things with ease. If you have been served with a Writ of Execution or would like to have one served on a debtor, contact a Riverside County licensed investigator right away. What Can a Riverside County licensed investigator Do During a Judgment Recovery Investigation? Recent studies have shown that more than 80% of all court ordered judgments go uncollected. While you can never force a debtor to hand you money, you can hire a Riverside County licensed investigator to build a strong case against them in case they try to appeal the order and get out of paying you. Your judgment can also collect interest over time, but the longer you wait the harder it will be to recover your money. For more information on having a judgment recovery investigation conducted on your behalf, or to hire a Riverside County licensed investigator immediately, call (951) 344-6306. We provide you with a free initial consultation and price quote for our services.